With a body of work that spans painting, sculpture, writing, films, slideshows, and immersive installations, Hélio Oiticica (b. 1937, Rio de Janeiro; d. 1980, Rio de Janeiro) was one of Brazil’s most original and important postwar artists. At the center of a generation that developed radical proposals for art and culture, Oiticica’s work explores the inherited language of geometric abstraction and reflects on Brazil’s complex social realities in a time of both accelerated development and limited freedom. 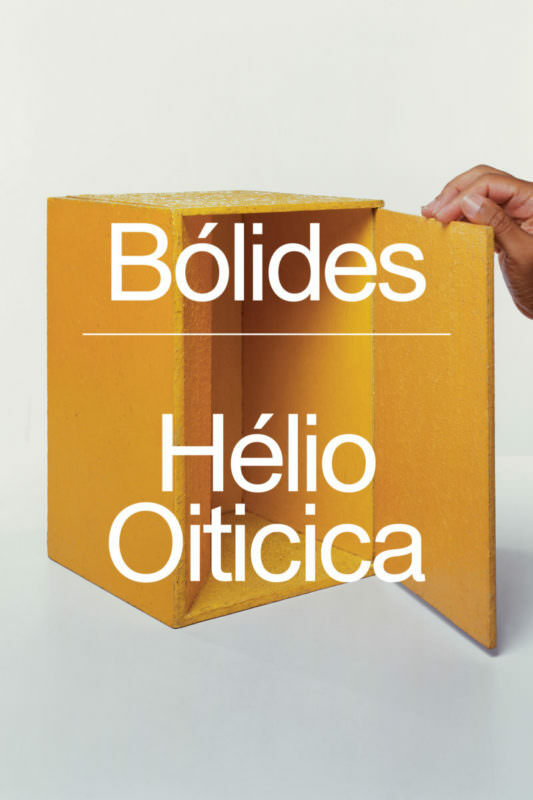 The Bólides, which Oiticica began producing in 1963, are experimental and interactive works that demonstrate the artist’s challenges to the conventions of viewership.